Almost a month after its TENAA certification, Samsung made the Galaxy Folder 2 official. The phone is currently listed on the Samsung China website, where it would launch first. 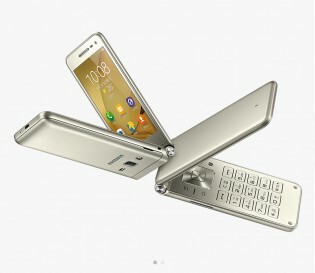 The Samsung Galaxy Folder 2 features a 3.8″ display of a WVGA resolution. Inside there’s a Snapdragon 425 chip with a 1.4GHz quad-core CPU and 2GB of RAM. Storage is 16GB, but is expandable via the onboard microSD card slot. The phone runs Android 6.0.1 Marshmallow and features a 1,950mAh battery. Samsung rates it at a 318 hours of standby. 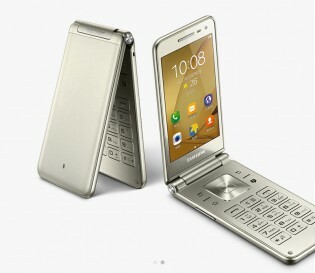 The Galaxy Folder 2 measures 122 x 60.2 x 15.4mm and weights 160 grams. At the back, there’s an 8MP camera with LED flash, but a front-facing camera is missing. Currently, there’s no information on pricing and availability.